Campsite La Champagne is one of those rare hidden treasures that are so hard to find these days. About 30 lovely spacious pitches (from 150m2 up to 300m2! ), breathtaking views, the river Dordogne at your feet, and fruit- and nut trees everywhere casting a welcome shade. 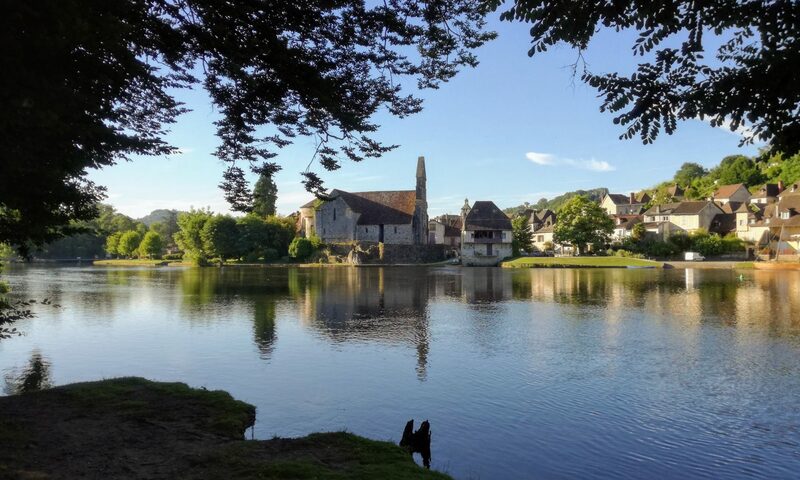 Set in an untouched beautiful green scenery with countless lakes, rivers, forests, valleys and hills, this small campsite on the Dordogne is a true natural campsite. The campsites stretches about 3ha on 3 different levels. 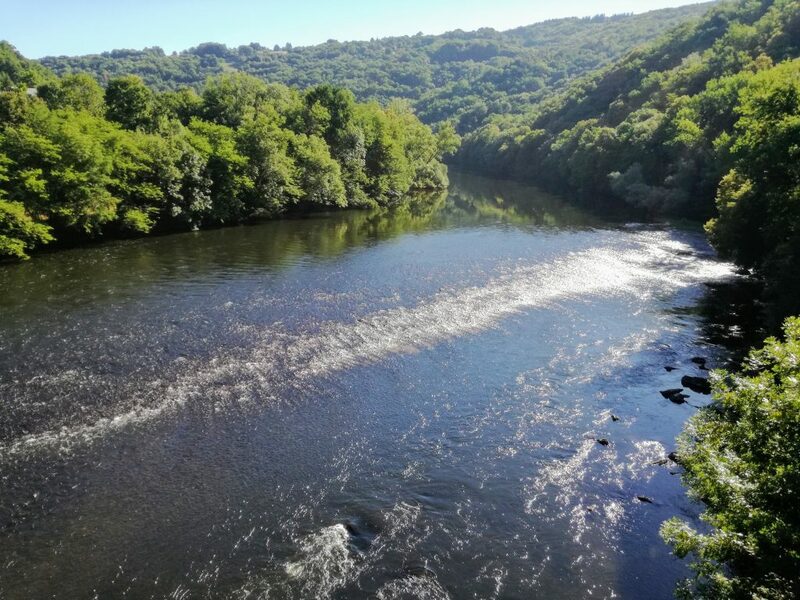 On the bottom level you’ll find yourself on green pitches right on the water’s edge, the second level features a large number of apple trees and gives you a fantastic view of the river, and the top level in its turns provides a spectacular view of the valley and its rock cliffs. This level also holds all the facilities such as showers and toilets. clean shower and toilet block, warm water in both the showers and the taps (free, no coins), sinks for personal hygiene use, sinks for washing clothes, and kitchen sinks for doing the dishes, and a spacious toilet/shower room for disabled people and families with small children. 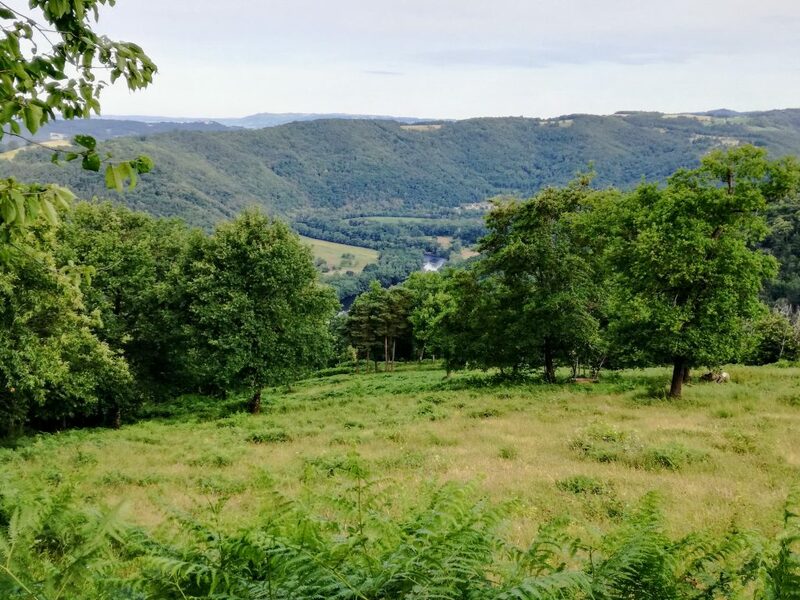 All in all, our small campsite on the Dordogne offers you all the ingredients for a lovely relaxing holiday full of nature, beauty, and plenty of adventurous play opportunities for your children.